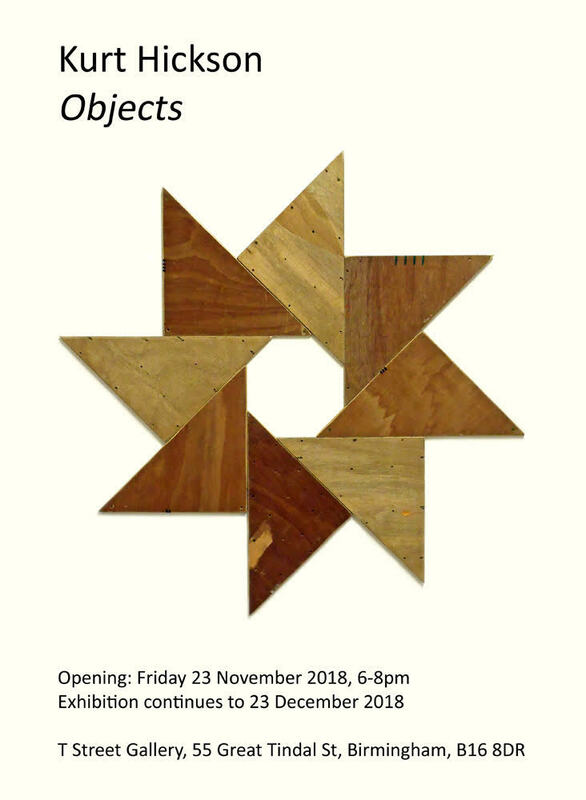 ‘Objects’ by Kurt Hickson is an exhibition of ready-made objects and assemblages. The show focuses on articles amassed over several years in the artist’s studio recomposed within the walls of the newly formed T Street Gallery, Birmingham. Made up of found street objects, studio clutter, discarded film and theatre props, and gallery off-cuts the artworks enter into playful dialogue with the building. The exhibition is an accumulation of self-reflective entities; salvaged items that point to waste culture as well as to compulsive collecting and a fixation on the decorative. Note: T Street Gallery is situated on the top floor of 55 Great Tindal Street and is only accessible by several flights of stairs. Please be aware that the space has uneven surfaces so take care when moving around the exhibition.